For more information on these and other local hiking trails, see my Northern Virginia Dayhiking page. 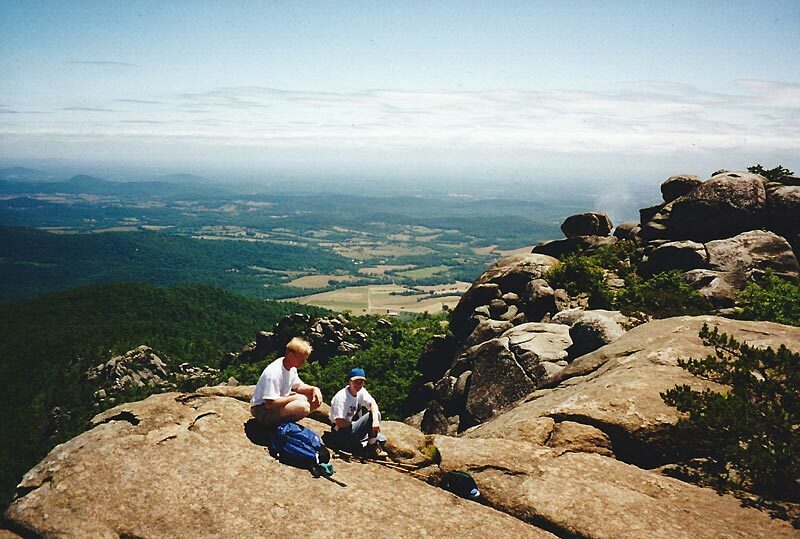 A moderate dayhike starting from the edge of the park will take you on a fun (but usually crowded) boulder scramble across the top of Old Rag. Here are some friends having lunch just below the summit. Lewis Spring Falls is reached in a moderate half-day hike from the Big Meadows Area. 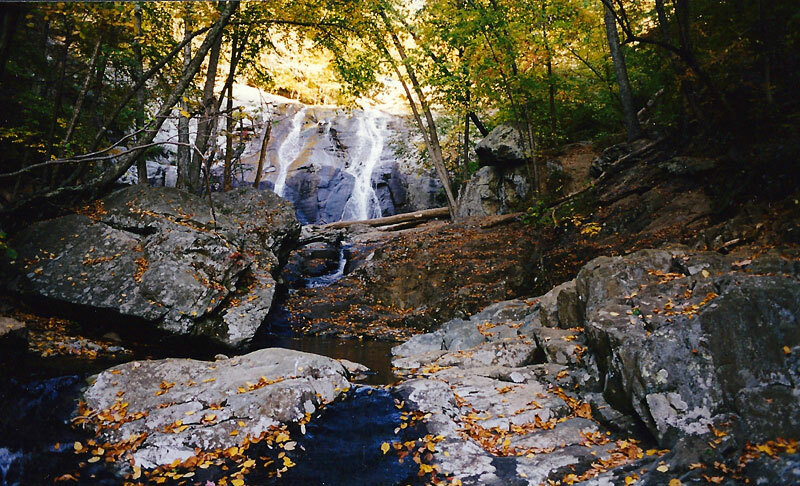 Combine this with trails to Dark Hollow Falls, Rose River Falls, and Blackrock Overlook for a variety of moderate to strenuous dayhikes. This leaf covered trail is part of a short hike to Millers Head, which has a nice view, but is partially obstructed. 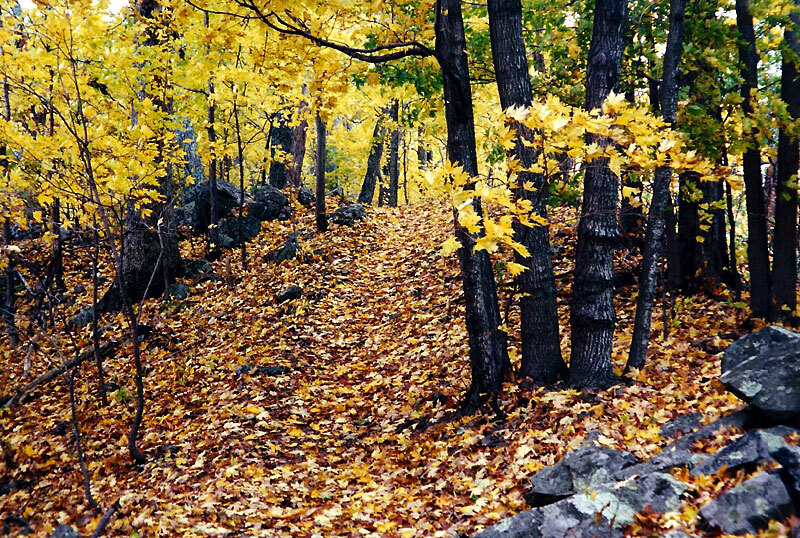 It makes for a pleasant walk if you're staying at Skyland, but otherwise not a trail to go out of your way for. Outstanding views can be had at Marys Rock. 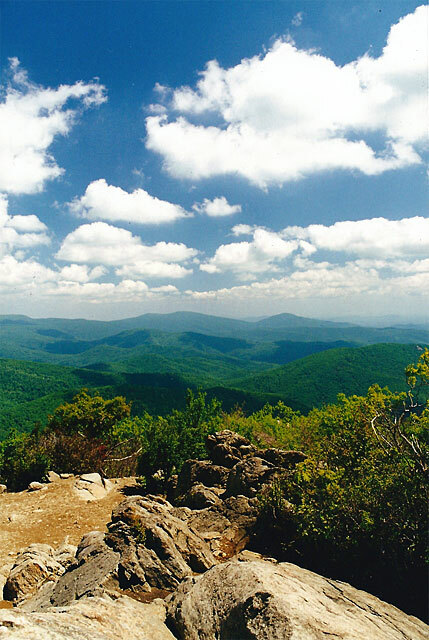 It's just a short distance off the Appalachian Trail and can be accessed from the Panaroma area on a 3.8 mile round-trip hike which climbs 1140 feet. A short walk followed by a short rock scramble will take you to an outstanding 360 degree view from the top of Blackrock Summit (that's Trayfoot Mountain in the center). Whiteoak Canyon is one of the most popular hiking areas in the park, with a variety of dayhike options ranging from easy to strenuous. 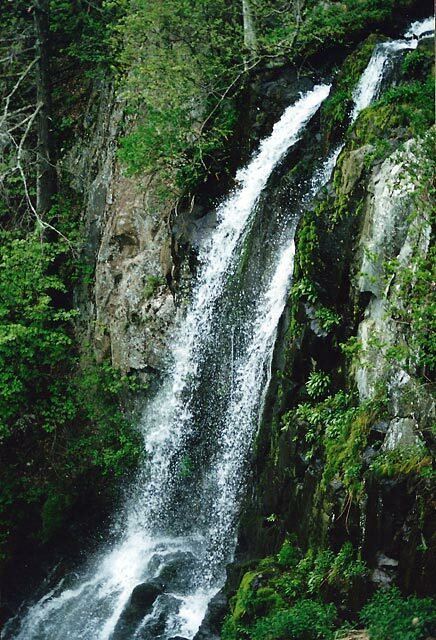 There are six waterfalls on Whiteoak Run, but you'll have to go off-trail to see this view of Whiteoak Falls #5. 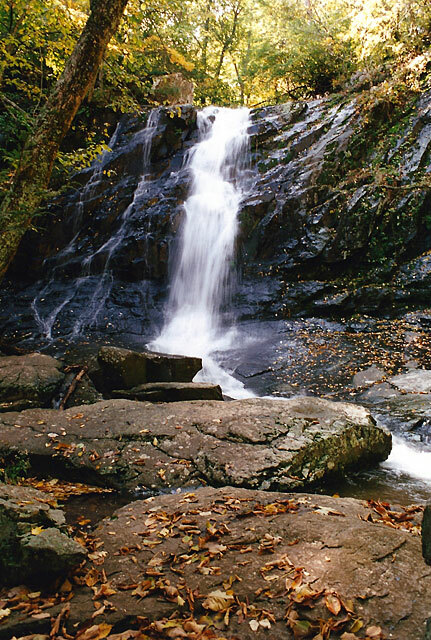 Whiteoak Falls #6 is one of the most scenic on Whiteoak Run, and can be reached in a fairly short and easy hike from the bottom of Whiteoak Canyon. 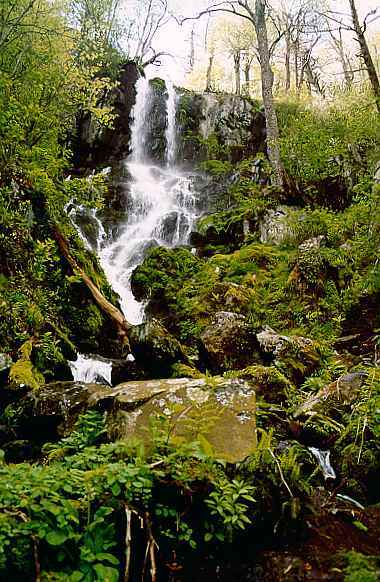 A short but rough extension of the trail will take you to the bottom of Lewis Spring Falls. 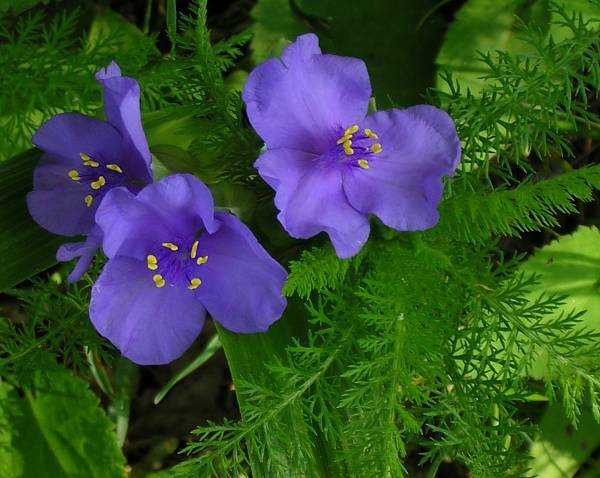 On a pleasant dayhike in mid-May I found numerous blooms of Spiderwort along the top of Trayfoot Mountain. 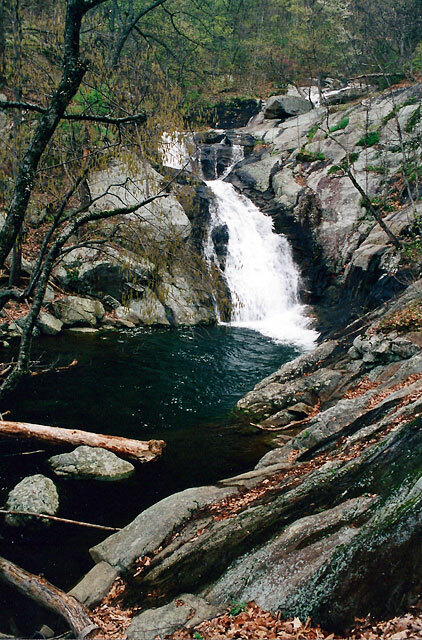 Jones Runs Falls can be seen on a moderate dayhike loop which will also take you by two waterfalls on Doyles River.